Whether you’ve just taken a weekend trip up North or the European vacation of your dreams, you’re guaranteed to return home with a massive amount of photos, probably a handful of videos, and, if you were feeling particularly artsy, half a dozen time-lapses. But now that you’re home, what are you going to do with all those pictures? Where are you going to keep them? How are you going to share them? Enter the Photos app for Mac. What is Photos on Mac? The Photos app is a convenient home for all of your pictures and videos. Anything you shoot, Photos will store it and — better yet — organize it, so you can actually find said pictures when you feel like reliving the memories. 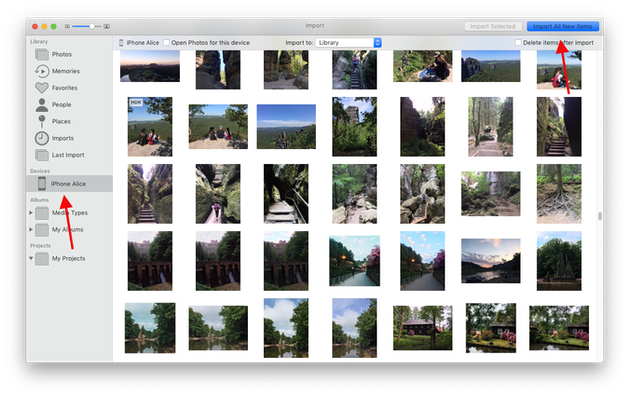 In this post, we’ll go over the basics of using Apple’s Photos app. We’ll talk about where to find photos on your Mac and how you can manage your ever-growing photo library. And of course, we’ll cover all the features Apple has built into this underrated app. iPhoto vs Photos: What’s the difference? 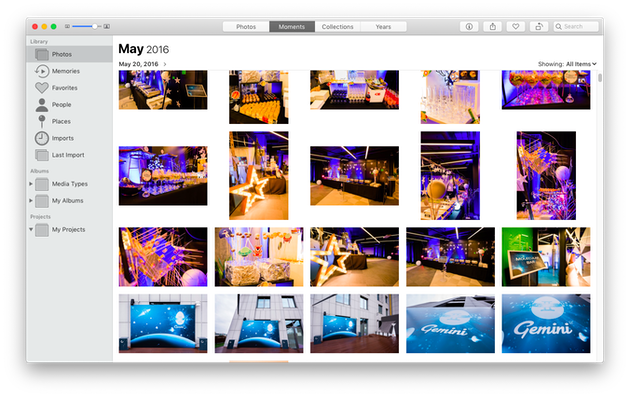 Those of you familiar with iPhoto for Mac are probably wondering what makes its successor so special. And to oversimplify it, Photos is the next step in photo management — and a giant step at that. Prior to Photos, Apple made two apps for managing pictures and videos. iPhoto, for those of us less experienced in photography, and Aperture, for the ones looking to do some heavier editing. Photos perfectly blurs the line between those two apps, combining the best of both while adding new features like iCloud Photo Library and iCloud Photo Sharing. If you used iPhoto before, Photos will feel instantly recognizable. You’ll have your pictures, albums, and collections in the main window, a navigation sidebar to the left, and different viewing options at the top. However, a significant point of difference between iPhoto and Photos is the app’s performance. When working with larger libraries, iPhoto had the tendency to lag or choke up and had arbitrary limits that would restrict album and collection sizes. Photos gets rid of those limitations entirely and is able to handle much larger libraries than its predecessor. While the look of Photos may be the same, it feels like a faster and more powerful app. Where are the photos stored on Mac? At the top of the window, you’ll see Library Location. Click the Show in Finder button. If you only need master files for a few pictures, you can drag them out of the Photos app directly onto your desktop. Doing this will create copies of the pictures and won’t move or delete the original files. Just don’t forget to find and delete all the copies later, so they don't turn your Mac into a mess. A duplicate finder like Gemini 2 can help with that. When you open Photos for the first time, the app offers you a glimpse of what your library will look like with all your pictures and videos imported. You get a quick intro to some of the features and tools, and learn how you can make these memories tangible through printed objects like calendars, photo books, and more. Once you’ve finished the tour of the app and gone through the initial setup, you’re all set to start importing your pictures and videos! There are several ways you can import your media content to Photos, depending on where you’ve been storing it. Connect your iPhone or camera to your Mac with a USB cable. You might need to unlock your iPhone with your passcode, and then tap Trust when prompted to Trust This Computer. On your Mac, if the Photos app doesn’t open automatically, go ahead and open it. The Photos app will show you an Import screen that has all the photos and videos on your iPhone or camera. If you don’t see the Import screen, click on your iPhone or camera in the Photos sidebar under Devices. From here you can either choose to Import All New Items or select a batch and click Import Selected. 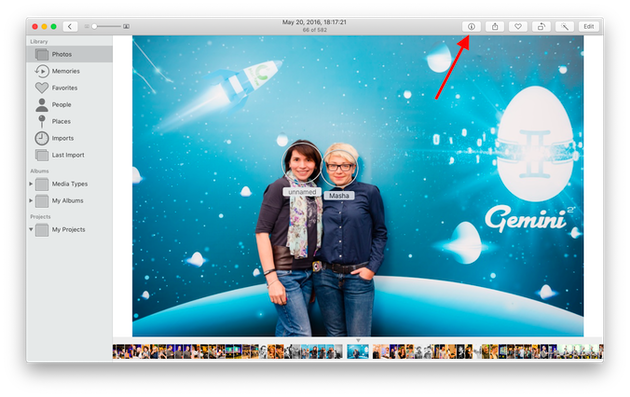 In Photos, go to File > Import from the menu bar. Choose the photos or videos you want to import and click Review for Import. An important thing to know about Photos is that the app copies the pictures and videos into the Photos Library we talked about earlier, leaving the original file either on your device or in its folder. Because Photos doesn’t remove the original picture after you import, you may end up with duplicate pics taking up precious space on your Mac. And if you’ve taken multiple photos of the same thing from slightly different angles, those will waste even more storage. 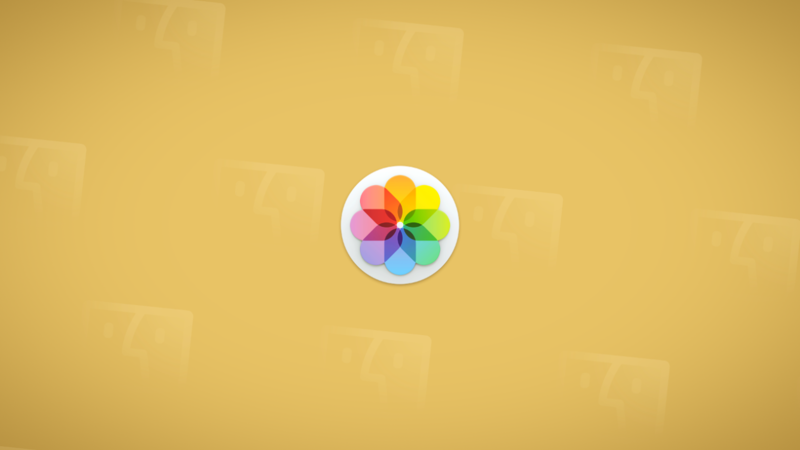 To keep your photo collection lean, scan your Mac for duplicates from time to time. Gemini 2 can help you find and delete duplicate and even similar photos, so you don’t have to go through hundreds of photos manually. Download it for free and try it out. Have you ever been unable to find a specific picture because you couldn’t remember when you took it? You can remember everything else about the photo, things like where it was taken and who was in it, but not the one thing you need to navigate your files. The Photos app helps you with this predicament by organizing your pictures not only by date, but also by event, location, and even by people’s faces. In the sidebar, you’ll find a number of tabs designed to make sorting through your pictures easier. Memories. Photos creates “memories” based on who is in a series of images as well as when and where those pictures were taken. Favorites. These are the pictures you’ve gone through and clicked the heart icon on, marking them as your favorites. People. This is where you’ll be able to see all the pictures of you have of specific people. Places. This is where you can see all the pictures you’ve taken in specific locations. Albums. If you want to group certain pictures for easy navigation, you’ll want to create a new album. This section is where you can access those albums. Click the info button in the top right corner. At the bottom of the info window, you’ll see circles with faces at the bottom. Tap on one of those. The face will now be circled on the photo. Underneath the circle will be a text box labeled “unnamed.” Click on the text box and type the person’s name. If the person you’re tagging has already been tagged in your Library, their name should appear under the circle on the photo. Tap on your preferred option and proceed to send the pic or create a Shared Album. Now that you’ve gotten a feel for how to use Photos on Mac, it’s time to give it a spin. Once you’ve got your library set up and organized, you’ll see how easy it is to relive and share your memories with Photos.